We have arrived at week 5 of the NFL and our fantasy season. Hopefully your team didn’t suffer a brutal loss like our Browns did last week. We are sitting in a crucial part of our season as this is the point to really make our playoff push. If you’re above .500 or even under .500 you have to keep looking to improve your team. So keep grinding and working for that elusive league championship. Baker Mayfield’s magical run came to an end last week against Oakland. While it wasn’t a horrible game by Baker 4 turnovers hurt. He still finished the week with 18.8 points and finished in the top 20 at quarterback. I think he’ll make the jump into the top 15 this week. While Baltimore has a good defense Baker will have to move the ball to stay in the game and I see him doing it. Carlos Hyde still leads the NFL in carries this year, and while he doesn’t have a grey average per carry he is still the workhorse in this offense. While Nick Chubb looks to be coming on strong and could start cutting more into his carries, keep riding Hyde as long as you can. Chubb had an amazing three carries last week scoring literally every time he touched the ball. While he looked like the best running back on this team and Hue Jackson has come out and said he will get more carries I wouldn’t start him. He likely isn’t going to score every play again this week (although he might) until we see his workload he is still stuck behind Hyde. Duke Johnson was by far the Browns best weapon last year. Under Todd Haley he just isn’t getting used the same. Once Baker gets fully immersed in this offense, I think Duke will become more of a factor. Until then though you can’t trust him. Jarvis Landry had an amazing touchdown grab last week but didn’t do much other than that. It was a weird game in general last week especially with the turnovers. While the turnovers could still be an issue this week against good Ravens defense. I expect Jarvis to get back to his usual 10 plus targets and will likely score again. Rashard Higgins has continued to be a big on third downs for the Browns. He will likely get the second most looks on the team. If he continues to convert he’ll continue to come through especially in PPR formats. Antonio Callaway will be losing some work this week as the team has come out and said they will cut his workload. This could be a good thing for him allowing to take a breath and get some rest in between some series. Until we see it though unfortunately Callaway needs to head to your bench. While David Njoku hasn’t had that breakout game yet and is likely starting to frustrate fantasy owners you have to stick with him. Why you may ask? He is going to score this week. I like the matchups he could get this week. If the Browns get in the redzone, I think Njoku is finally going to get that elusive touchdown. I have gone back and forth on the defense all week long. I could very easily see this game being a 14-10 game. The Browns defense sack Baltimore Ravens quarterback Joe Flacco and causing turnovers. They lead the NFL in turnovers. However, I could also see this being a shootout. For me I could go either way with them. If you have a top defense, I would sit the Browns this week. 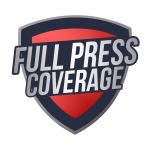 Continue to follow Full Press Coverage all season long for all your Cleveland Browns NFL and fantasy news. If you have any questions please feel free to hit me up on twitter @SportsfanaticMB. I hope the fantasy gods smile down on your team this week and grant you a win, and as always GO BROWNS!